“You can make a really good living being a machinist, tool maker, inspection,” Dustin continued, saying how important the experiences are for him imparting his experience to trainees. A trainee named John told us the tale of how he has gone from being a criminal to a responsible adult holding down three jobs. Before learning about Rise Up from a parole agent, he was working through a staffing agency. John was doing heavy-duty construction work. He was away from home from about 5 in the morning until around 7 at night. With a skills gap of over 2 Million jobs needing filling in the manufacturing industry, ex-gang members leaving prison could be a great resource. It would also provide them with a stable career after prison. Programs like Rise Up, as well as the Prison Industry Enhancement Certification Program, could ultimately help ex-convicts from being arrested again, as well as to help an industry badly in need of skilled workers. 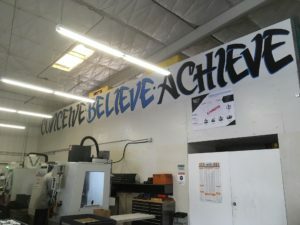 Other than machining parts in their shop, Rise Up has a diverse list of services. They also do screen printing/embroidery and they sell locally roasted, specialty gourmet coffee. For more information on donations or services, call (619) 457-0790. You can also visit their website for more information. 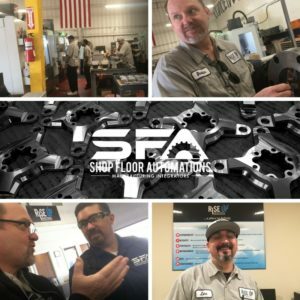 If you have a machine shop and are looking to boost your productivity through automation software and hardware, we would love it if you gave SFA a call! Call (619) 461-4000 or fill out a contact form for one of our many solutions.